Lowchen is a German word which means “THE LITTLE LION” it is a dog’s breed which once had the dubious distinction like the water dogs of Portuguese and the havanese, of being a unique dog in the world even today this breed is very unique and just a few hundred new registration each year world wide take place for this dog breed. This breed basically is of a European descent and originated in France during the 14th century and is known as the name of little lion this breed is specifically loved by the British aristocracy. Lowchen Dog breed almost became extinct during the first half of 20th century. But there a women named as Madam Belgium stared doing efforts to save this breed of dogs. There are several record of this breed of dog and it has been named twice in the guiness book of world record as the one of the most expensive dog and also a very unique dog present in the world. This dog’s breed is a mixture of calm soul mate and play full sprit the lowchen is very strong active and well balanced breed in the world. In nature they are loving and happy and are excellent champions this breed of dogs has a positive and outgoing attitude. What sets it apart is its unique style and royal looks. The lowchen is very intelligent loving and social by nature and very loyal with their owners they have no fear, eager and bold they become close and attached with their family and children in contrast with other dogs and household pets. This breed of dogs looks innocent and sweet by face but is actually a very tough and hardy breed. They may show some arrogance or a very strong attitude they really protect there family and stand in front in dangerous situations and will bark on unknown persons. They are cheerful and playful but they are not hyperactive or high strung in nature. 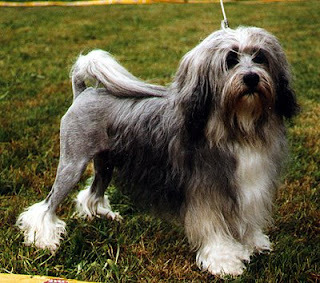 This dog’s breed requires professional grooming every four to six weeks. The big hair must be cleaned on regular basis to prevent different type of allergies. Bathing should be done once a week it is important to apply sunscreen to prevent sunburn. This breed is generally healthy although they struggle with different types of allergies like eye irritations caused by hair and skin irritation on shaved areas. They have a soft and silky coat texture which is typically trimmed to resemble a lion. There back end is sheared to the skin and they have some hair on their tail the ears are long and fringed. The lowchen coat changes its color as the life of dog goes. While at a small age this breed has no hair. It is really easy to make them trained because they are really good in nature and have high intelligence and willingness they live in agility and obedience. This breed needs to be socialized in early stages they respond well if they are trained with fun and consistent guidance. Good training can make them more excessively and curtail their affinity to dig. This type of dog breed loves long walks and is happy to go on daily jogging. They really enjoy the time when they are allowed to run freely they are best to live in apartments because of their nice and sweet nature they are given particular exercise and a play session. As they are very unique that’s why there is not much information regarding their diseases and health of this dogs breed, the average life of this breed of dogs is 12 to 14 years.